Another international Avengers: Endgame poster has just dropped online that not only teases the main line-up for next month’s release, but also features many of the dusted heroes from Avengers: Infinity War. To a large extent, this new promo image builds on the character posters that dropped a couple of days ago. Like those images, the latest artwork separates the cast into the categories of living and dead, while doubling down on the recent revelation that Shuri was among the snap victims. As you can see, Marvel is also being very open now about the fact that Valkyrie and Wong will both be returning, despite neither them appearing in any officially released Endgame material prior to this week. Shame that Happy Hogan and Pepper Potts didn’t make the cut for this poster, though. But going back to all those dead characters that line the bottom of the image, while Marvel has been playing coy for the past year about the late heroes returning, it’s already been well established that many of these actors have shot scenes for next month’s release. Given the future projects line up for the likes of Spider-Man, Doctor Strange and Black Panther, we can assume that Earth’s Mightiest Heroes will succeed in their mission to reverse the snap, but even before the dead are resurrected, it’s widely predicted that the film will revisit previous chapters in MCU history via time travel. 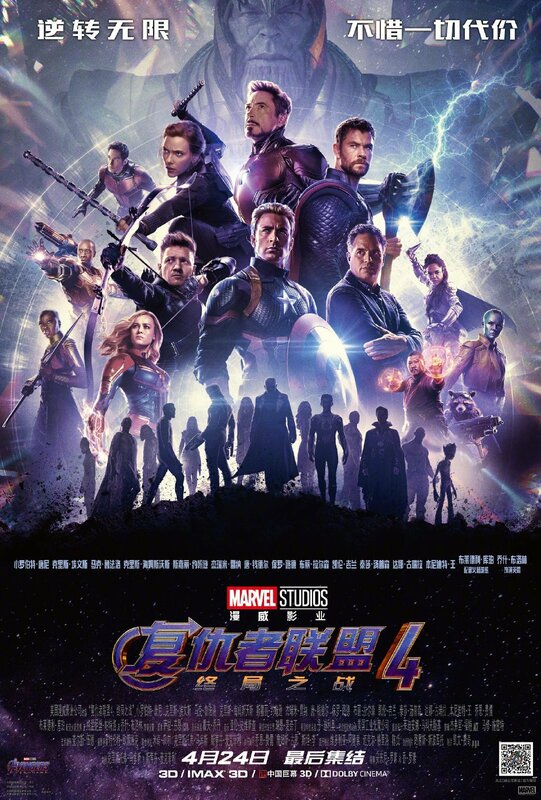 In short, it currently feels like a safe bet that everyone featured in the above poster will be showing up somewhere in Avengers: Endgame. And we’ll find out how directors Anthony and Joe Russo plan to juggle this overwhelming array of familiar characters when the film hits theaters on April 26th.